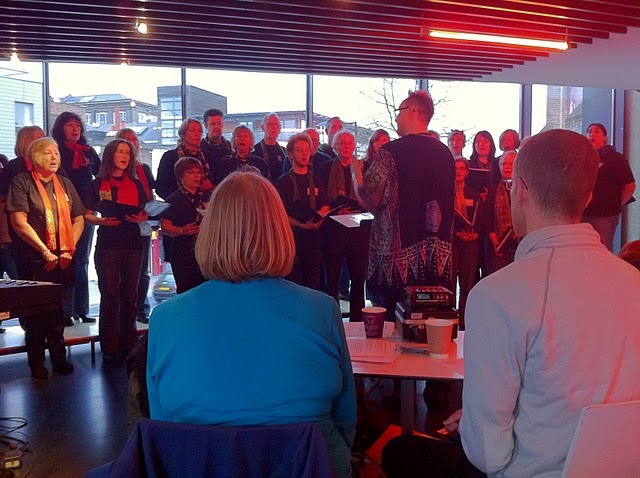 Open Stage featured a multitude of choirs singing in the venue's foyer area during this choral festival. We had a 20-minute slot at 1710, and were featured on their blog. Unfortunately we were limited to 30 so had to pull names out of a hat, but we made up for it with volume, and Christopher encouraged us to dump the music which paid dividends.